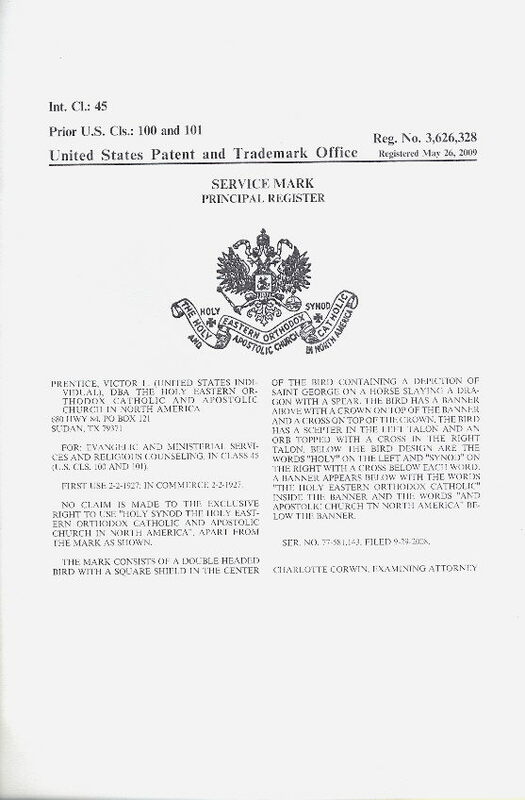 The following copies of our Service Mark are the legal property of THEOCACNA. We own the logo and our name by both Common law and Statuatory law after it was our Registered Service Mark (2000-2007). Under Federal Law the name and logo are our property after 5 years. The slight update of the logo does not change or affect our ownership rights in any way. Shield in center has been re-worked to its original condition. From our Church Constitution dated December 1, 1927. 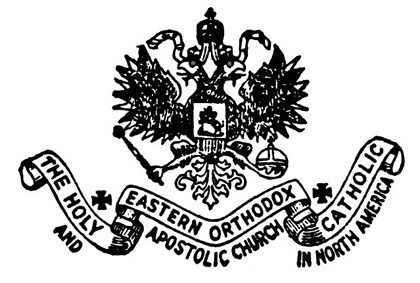 The religious body organized hereunder shall be known both ecclesiastically and in civil law (by incorporation) as THE HOLY EASTERN ORTHODOX CATHOLIC AND APOSTOLIC CHURCH IN NORTH AMERICA (THE AMERICAN ORTHODOX CATHOLIC CHURCH). Either the first part of this legal title or the shorter second part exclosed in parentheses shall be deemed sufficient designation to point out this body to the exclusion of any other in all cases except where the full corporate title is required for purposes of civil legal documents. Both names have been used by this Church since 1927 and by the Corporate Church since 1928 and are our commonlaw service marks. Our corporate name has been, with our logo, our Registered Service Mark also. We claim sole legal right to the use of these names. This name is a commonlaw service mark of this corporate Church since 1931. It was Registered with the U.S.P.T.O. as one of our service marks. We claim sole legal right to the use of this name. Our commonlaw service mark since 2003. We claim sole legal right to the use of this name. 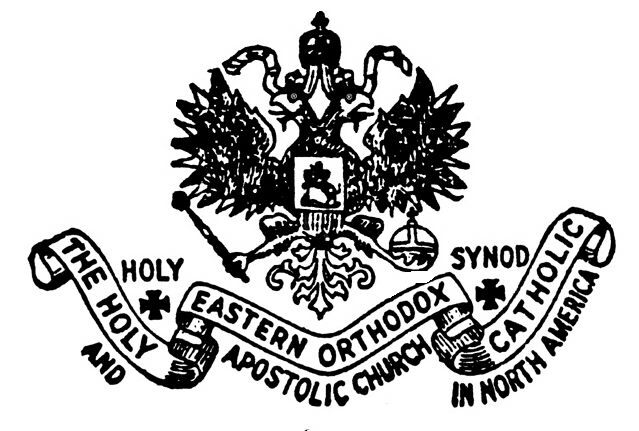 While the SCOBA Orthodox attack this Canonically Established Church and caused the Schism in American Orthodoxy they ignored the claims of many independents who would claim to be us and claim to be Orthodox. They allowed these independent to "muddy" our name by their silence. 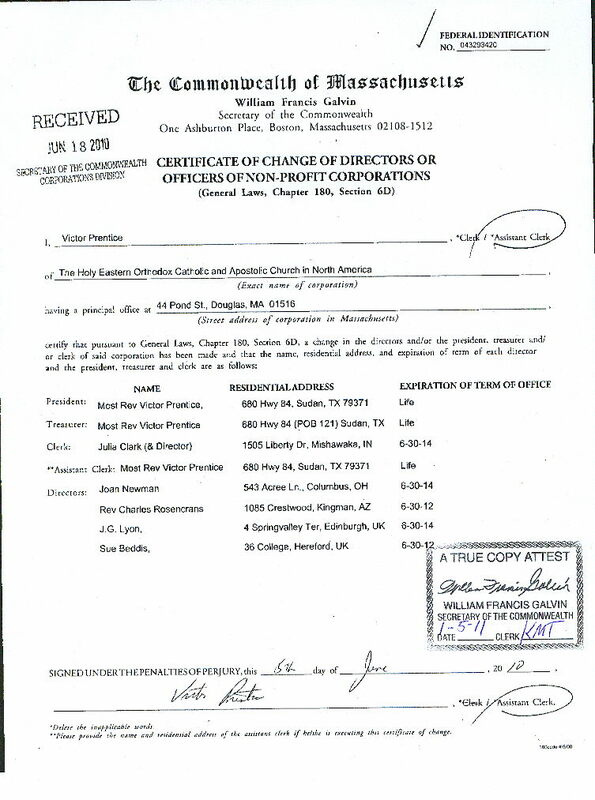 To clearly identify us apart from the many false claims of independents we proceeded to do what was necessary such as filing Service Mark applications on the names "The Holy Eastern Orthodox Catholic and Apostolic Church in North America" AND "The Society of Clerks Secular of Saint Basil". Previously these were our names under Common Law. These are also our legal names since we have owned them for over the required 5 years as a Service Mark. 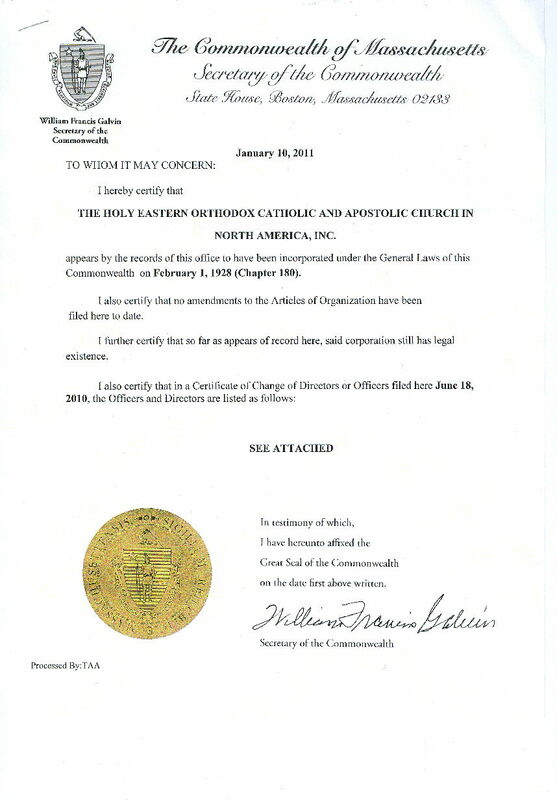 Our name "American Orthodox Catholic Church is still our name under Common Law, but is used by many independents. We have a page that lists these independents who are in fact Old Catholic and not Orthodox. Some Ordain women, some have "clergy" of questionable reputation but none are part of this Church now or in the past. Today all who claim they are us are liars, unchristian and commit criminal acts like identity theft and fraud since our name and logo are our legal property and because we are the same original corporate Church entity showing we are the original 1927 Canonically established Church. The legal evidence as to our identity upsets the Schismatics and the independent Old Catholics who falsely claim they are us under many names.